"Jason Bourne" and "Bad Moms" delivered above expectations, while "Nerve" continues Lionsgate's rough patch. It’s no surprise that Matt Damon and Paul Greengrass’s return to the “Jason Bourne” franchise topped this weekend. It’s a near-replicate of last – a new franchise entry hits its mark, then two more lower-budget wide openers do less combined, but enough to boost the weekend totals above the previous year. “Jason Bourne,” more than “Star Trek Beyond,” exceeded pre-opening estimates. Oddly, all three openers scored A or A- from audience pollster Cinemascore. (This is rare for any one week outside of awards season.) Their Metacritic ratings were more mixed, in the tiny range of 58-60. Their budgets also varied, with $120-million “Jason Bourne” (Universal) coming in at triple the combined cost of the other two (STX’s “Bad Moms” and Lionsgate’s “Nerve” both cost around $20 million). As always, costs determines the ultimate box office winners and losers. Why “Jason Bourne” soared $10 million above expectations. 1. Stars like Matt Damon still matter. Particularly coming off a major hit in which he was front and center and a crucial element in making the film work (“The Martian”), Damon lent quality cred for the film after a hiatus of nine years (Jeremy Renner carried “The Bourne Legacy” in 2012). Like Tom Cruise on the “Mission: Impossible” series or Daniel Craig as James Bond, Damon function as a steady, reliable force in action-oriented international adventures that still aim at adults looking for some intelligent plotting and suspense. 2. Audiences were hungry for a spy thriller. Looking back this year, there was a void waiting to be filled. The top nine films of 2016 apart from hybrid “The Jungle Book” are all either animated or comics-based. One has to go back to early March and the middling “London Has Fallen” to find anything close to “Bourne” in content and appeal. Before that, 2015’s “Spectre” and “Mission: Impossible – Rogue Nation” were major hits. In the tricky business of expensive franchise entries, while “Jason Bourne” seems to have skirted the been-there-done-that area that has led to flops (“Independence Day: Resurgence”) and disappointments (“X-Men: Apocalypse”), it still fell short of the freshness quotient that draws audiences to make repeat visits. 3. The “Bourne” movies were spaced out. The higher number for “Jason” could be due not only to Damon’s success of late, but the less-frequent appearance of films in the series. “Jason Bourne” beat out “Mission”’s $55.5 million almost exactly a year ago (which also benefited from late summer dearth of similar product). The sole negative is the 9% drop Saturday from the first day (plus previews) number—“Mission” last year fell only 3%. But that seems minor. In any event, it clicked. Within four weeks, two R-rated generic raunchy comedies with one-gender appeal and tried-and-true concepts opened, both boasting familiar leads but not certain marquee draws. The male comedy (“Mike and Dave Need Wedding Dates” with Zak Efron and Adam Devine) cost about $13 million more than the female one (“Bad Moms” with Mila Kunis and Kristen Bell), which grossed 41% more its opening weekend, off slightly better reviews. Jon Lucas and Scott Moore, the co-writer-directors of “Bad Moms,” also wrote the “Hangover” trilogy. They seem to have seen the future and shifted gears, this time inspired by the parenting experiences of their wives. With both films likely gaining more returns from domestic dates, “Bad Moms” has the clearer path to success. 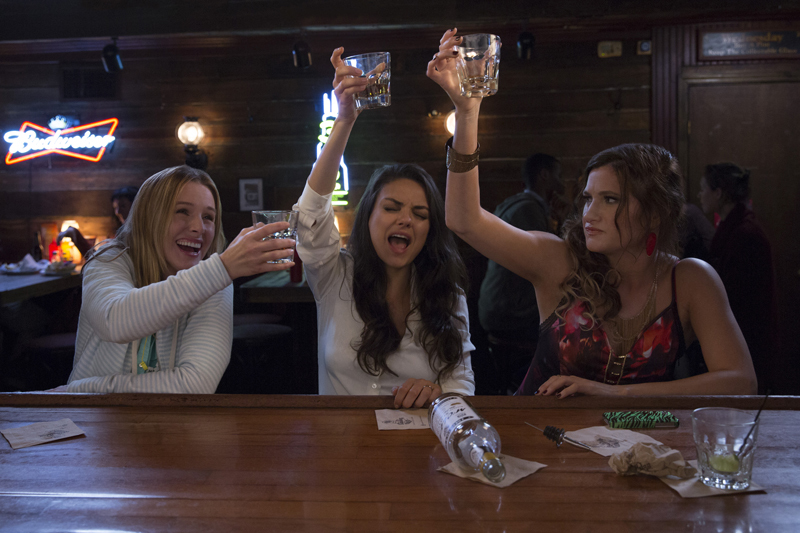 It’s not guaranteed – its second day drop of 38% is far more than “Mike and Dave” (-14%), but Friday is much more girls night out, so that needs to be factored in. The late July/August female centered-based comedy slot was established by “Bridesmaids.” The top example last summer was “Train Wreck,” at nearly the same time, which opened to $30 million. That boasted terrific word of mouth (its first Saturday was up 3%), more male appeal and Judd Apatow and Amy Schumer to boost it. It also cost $13 million more. As a feminist movie it is ironic that “Bad Moms” clicked the day after the first woman presidential nominee extolled the virtues of motherhood as part of her assets. This is not likely what she had in mind. Aiming movies at young women has made Lionsgate powerful in recent years, with three franchises (Summit’s “Twilight” and “Divergent” as well as “Hunger Games”) making them as good as any company in nabbing their attention. At a time when female audiences at home are gaining strength, Lionsgate seems to have lost its touch. No one reason seems central, but they may be aiming too young as the 16-25 year crowd declines. “Nerve” is one film with a low enough budget that it’s no catastrophe. But with its positives, it should have done better. Tangentially, the directing pair Henry Joost and Ariel Schulman, who come out of the “Paranormal Activity”/Jason Blum stable (they directed #3 and 4) have a second film release this weekend. Weinstein is handling “Viral,” a Blumhouse production, with token dates before a DVD release this Tuesday. It got virtually no media attention and even less box office in its 11 dates – something around $1,500. The Top Ten total of $173 million is down from last weekend (“Nerve” was $12 million less than the third-best opener last week, “Ice Age: Collision Course”). But this weekend’s total is still 27% above last year when three openers combined (led by Adam Sandler’s “Pixels”) grossed less than “Jason Bourne” itself. So the mid-to-late summer improvement continues, and this week’s new entries come with certain profit for at least two (“Jason Bourne” and the less costly by $100-million “Bad Moms”) plus a chance for “Nerve” to score overseas returns. And that comes before the breathlessly awaited last Marvel release of summer, Disney’s “Suicide Squad,” which is expected to top any August release from last summer, at least in opening, by some margin. So with year to date up 3% now despite the down summer, the end of summer mark could be a healthy 5% ahead, which is terrific coming after a strong 2015, even if the top revenues have been more spread out than seasonal in 2016. 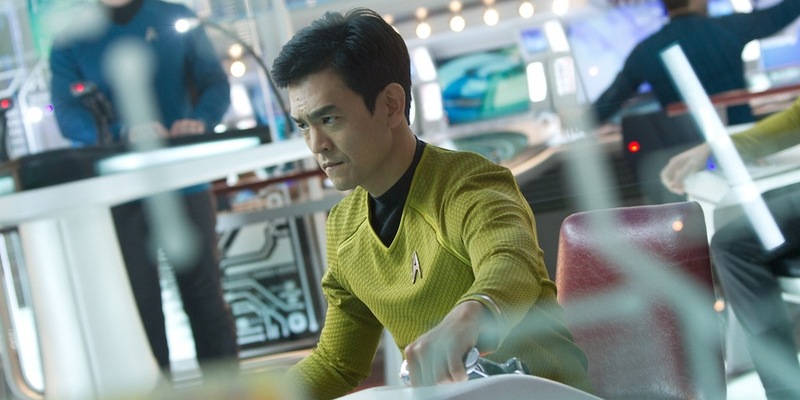 “Star Trek Beyond” shed 59% this weekend. Last time around, it fell 47% and grossed 50% more than the second weekend. This franchise is in need of a reboot even if Paramount manages to eke out a profit. “Ice Age: Collision Course” dropped 51% its second weekend, weak for an animated film, and coming off a disappointing domestic start. Again, the franchise seems in need at home (if not overseas) of overhaul. “Lights Out” as a horror entry looks better with its 50% drop, and it ended up ahead of the new genre-entry “Nerve.” Its micro-budget assures success. “The Secret Life of Pets” and “Finding Dory” once again held well, despite now shedding theaters, both around 40% off. “Ghostbusters,” down 53% in week three, wasn’t helped by competition from “Bad Moms,” with moderate foreign returns so far likely sealing its fate, though it has passed $100 million domestic. There’s that killer budget factor again. Also nipped by “Bad Moms” was female-friendly “The Legend of Tarzan,” which dropped most, 63%, losing nearly half (mostly the weakest) of its theaters. One mild surprise, and falling out of the Top Ten, was “Hillary’s America: The Secret History of the Democratic Party.” Unlike director Dinesh D’Souza’s previous films, it is losing theaters early in its wide run. Despite a decent overall first wide weekend showing, it lost 151 theaters this week. The 1,066 remaining ones led to a not-bad 40% fall, but this now looks like it won’t come anywhere close to what his 2012 Obama “expose” achieved ($33 million), with $8.7 million in the till so far.